Fishing has been critical to the economy of the Marshall Islands since the archipelago was populated. The country is known for excellent sport-fishing conditions. The history of Fishermen's Day begins in 1981, when four friends founded the Marshalls Billfish Club in order to participate in the Hawaiian Invitational Billfish Tournament. They won the tournament, which inspired them to establish an annual national tournament in the Marshall Islands. With the help of many volunteers, local businesses and the government they held the first tournament in 1982. 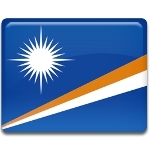 The Marshall Islands government declared Firshermen's Day a public holiday and contributes to the tournament held on the first Sunday in July each year. The contest begins in the early morning. Competing fishermen attempt to catch the heaviest or the biggest fish in any of the existing categories. The contestants return to the shore in the evening. The fish are measured and weighed, and the winners are announced. After that, the festivities begin. Each year, hundreds of people enjoy Fishermen's Day celebration.